When the European Council meets on Saturday for a summit of all 28 leaders within the European Union, it will not only choose a new high representative for foreign affairs and security policy, but also a new president of the European Council. It’s still very much a new role within the matrix of EU power — it was created only in 2007 as part of the Treaty of Lisbon, and Herman Van Rompuy, a former liberal Belgian prime minister, was selected in 2009 to take the role when the Lisbon Treaty came into effect. For a position that had been, perhaps too optimistically described as the ‘presidency of Europe,’ Van Rompuy has hardly been the European Union’s George Washington. For more than three decades, the ‘president’ of the European Council, which is really just the collection of all 28 EU leaders, was the head of state or government of the country that held the six-month rotating Council presidency. That Council presidency still rotates (Italy is currently heading the Council), but the Lisbon Treaty created a full-time figure who could fill up to two 2.5-year terms to direct Council and EU policy. But it hasn’t exactly been clear when the power of the European Commission, the chief executive and administrative body of the European Union, ends and the European Council presidency’s power begins. Often in the past five years, the roles of Van Rompuy and outgoing Commission president José Manuel Barroso, a former conservative Portuguese prime minister, have blurred. Defining those lines will certainly be one of the most vital institutional issues that incoming Commission president Jean-Claude Juncker, a former Christian democratic prime minister of Luxembourg, and his Council counterpart, will determine in the next five years. 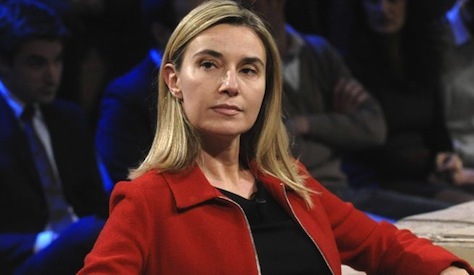 Even in the past 24 hours, news reports give the young Italian foreign minister Federica Mogherini an even greater edge to become Europe’s next high representative for foreign affairs and security policy, seemingly eclipsing the chances of Polish prime minister Radek Sikorski and Bulgarian European commissioner Kristalina Georgieva. But it’s clear that the Council presidency role will follow from two factors — first, the June decision to appoint Juncker as the Commission president and, second, the decision in the next 36 hours over Europe’s foreign policy supremo. 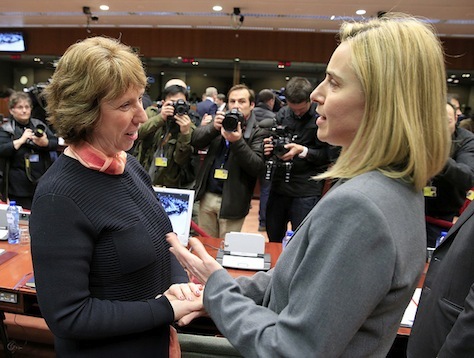 If it’s Mogherini, as expected, the conventional wisdom is that, as Mogherini is a center-left, Italian woman, the Council presidency must go to an official from Central and Eastern Europe. 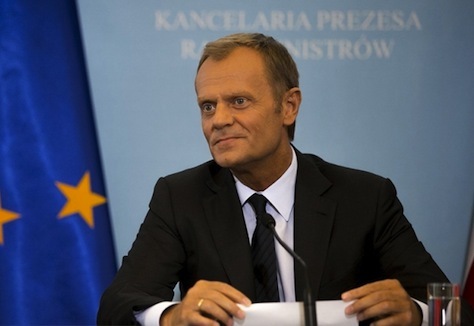 That points to Polish prime minister Donald Tusk (pictured above) as the wide frontrunner for the Council presidency. If, for some reason, Tusk turns down the idea of moving from Warsaw to Brussels, former Latvian prime minister Valdis Dombrovskis, former Estonian prime minister Andrus Ansip or former Finnish prime minister Jykri Katainen, all of whom are already candidates to serve as their respective countries’ commissioners in Brussels, are ready alternatives. If it’s Sikorski, which now seems less and less likely, the conventional wisdom is that a center-right Polish official will require the balance of a center-left woman. The frontrunner would then be Danish prime minister Helle Thorning-Schmidt. If it’s the dark-horse candidate, Georgieva, a Bulgarian and the current European commissioner for humanitarian aid, there won’t be incredible pressure to appoint a woman as Council president, but there will be pressure to appoint a center-left official, which still favors Thorning-Schmidt. Nevertheless, a surprise choice like Georgieva for foreign policy could open deliberations to truly dark-horse candidates, including liberals like Ansip or former Commission presidential candidate and former Belgian prime minister Guy Verhofstadt. With the European parliamentary elections finished on May 25, and the emergence of former Luxembourg prime minister Jean-Claude Juncker as the president of the European Council nearly a month later, the next two pieces of EU governance will be determined at a summit of all 28 leaders of the European Union on Saturday. The EU leaders, who together comprise the membership of the European Council, will meet at a summit on August 30 that is expected to determine outgoing Council president Herman van Rompuy’s successor, an office created under the Treaty of Lisbon that went into effect in 2009. They are also expected to appoint a candidate to succeed Catherine Ashton as high representative for foreign affairs and security policy, as well as informally consider which European Commission will hold which portfolios, though those decisions are unlikely to be announced until later in the autumn. It’s easiest to think about the two offices sequentially — first high representative, then Council president. That’s because there are just two major candidates viewed as credible possibilities for the EU foreign policy role — Italian foreign minister Federica Mogherini and Polish foreign minister Radek Sikorski — with a third, dark-horse candidate in Kristalina Georgieva, an economist and Bulgaria’s current commissioner, responsible for humanitarian aid and international cooperation. The choices for the European Council presidency will follow from the choice of high representative, and from the decision to name Juncker, a center-right federalist from Western Europe, as Commission president. (More on the Council presidency will follow in part 2). One fact that’s becoming increasingly clear in the current tussle over electing a new president of the European Commission is that the eventual candidate must win a qualified majority on the European Council, as well as an absolute majority in the European Parliament. Though the rules for qualified majority voting on the Council are greatly simplified under the Treaty of Lisbon, it’s worth noting that those rules don’t take effect until November 2014. That means that the old rules, under the Treaty of Nice, will be in effect during the current fight this summer over whether former Luxembourg prime minister Jean-Claude Juncker, the candidate of the European People’s Party (EPP), can become the next Commission president. 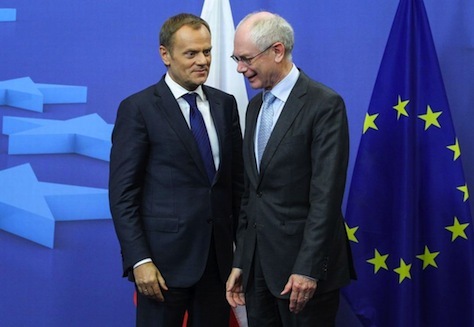 With the current president of the Council, Herman Van Rompuy, currently taking the lead on the process, the Council will submit a formal proposal for Commission president during its next official summit on June 26 and 27. 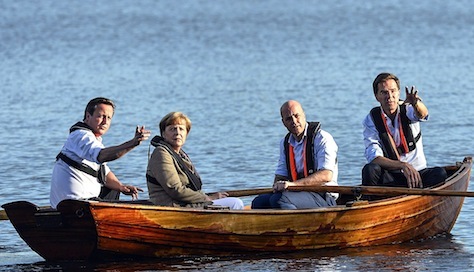 That explains why the focus of the fight over Juncker has moved from the Parliament to a fight between German chancellor Angela Merkel and British prime minister David Cameron (pictured above, last week, left, with Swedish prime minister Frederik Reinfeldt and Dutch prime minister Mark Rutte). 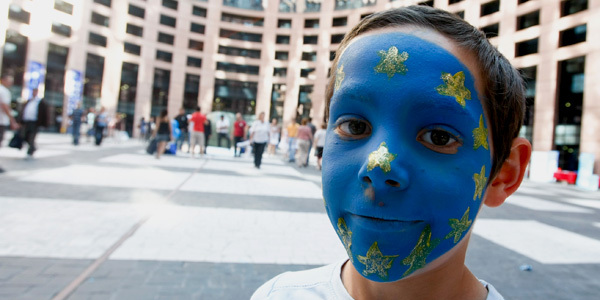 a supermajority of countries representing at least 62% of the EU-wide population. The trickiest hurdle is meeting the 74% hurdle. The system assigns weights, roughly corresponding to population, to each country, with a maximum of 29 for each of Germany, France, the United Kingdom and Italy, and a minimum of three for the smallest member, Malta. With a total of 352 weighted votes after Croatia’s July 2013 EU accession, that means Juncker must win at least 260 weighted votes. Conversely, it means that a minority consisting of 93 weighted votes can block Juncker. Cameron is committed to opposing Juncker. Hungarian prime minister Viktor Orbán, who belongs to the EPP, has also opposed Juncker in retribution for Luxembourg’s outspoken role on the Commission in the past five years attacking Orbán’s questionable respect for democratic norms and press freedom in Hungary. Reinfeldt, the Swedish prime minister, has also voiced doubts about Juncker’s candidacy, even though he also belongs to the EPP. If Juncker fails to pass muster in the Council, Reinfeldt himself has been mentioned as a compromise candidate, given the likelihood that his center-right Moderata samlingspartiet (Moderate Party) is expected to lose national elections in September. Rutte, the Dutch prime minister, has joined Reinfeldt in his hesitation over Juncker. Rutte, like Cameron and Reinfeldt, is generally a Merkel ally on European economic policy and the need for trimming national budgets, but he belongs to the Alliance of Liberals and Democrats in Europe (ALDE), the third-largest European parliamentary bloc. If Sweden (10 weighted votes) and The Netherlands (13 votes) join Hungary (12 votes) and the United Kingdom (29 votes), Cameron will have 64 votes to block Juncker — and he’ll need just 29 more votes to do so. Those votes could come from Italy, where prime minister Matteo Renzi has demanded a more flexible interpretation of EU budget rules and a greater emphasis on economic growth stimulation (instead of austerity) in exchange for backing Juncker. A deal seemed imminent earlier this week, though Renzi hasn’t yet declared either support or opposition for Juncker. 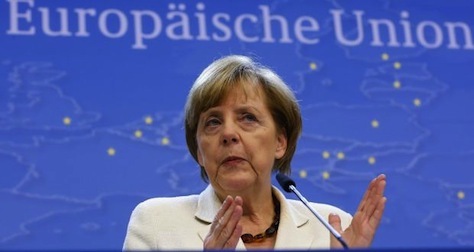 Right now, the momentum seems to be with Merkel and Juncker, and flowing away from Cameron. Either Rutte or Reinfeldt could back down from their criticisms. Furthermore, Renzi might be wary of alienating Merkel just four months into his premiership and days before Italy assumes the six-month rotating Council presidency. But Cameron, who has suggested Denmark’s social democratic prime minister Helle Thorning-Schmidt as an alternative Commission president, might yet persuade Renzi to join him for at least one shot at obtaining a more reformist Commission president than Juncker. It’s worth noting that French president François Hollande, like Renzi, would like to see a greater emphasis on growth at the European level, and he hasn’t firmly indicated that he’ll support Juncker, either. Here come the Spitzenkandidaten! But does anybody care? 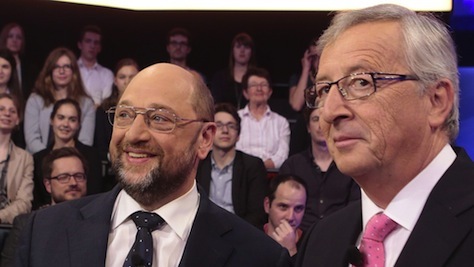 If you believe the hype, the contest between Luxembourg’s Jean-Claude Juncker (pictured above, right) and Germany’s Martin Schulz (pictured above, left) is the European equivalent to the American election of 1800. Fully 214 years ago, American voters (or, more accurately, white, male American property-holders) went to the polls in what was just the second contested presidential election in US history, pitting the incumbent, John Adams of Massachusetts, against Thomas Jefferson of Virginia. The aftermath of that election demonstrated flaws in the nascent American democracy’s constitution when Jefferson and his running mate, Aaron Burr, both received 73 votes in the US electoral college. The clear intention was always that Burr was Jefferson’s running mate. Yet as a technical matter, the two candidates were tied in the only presidential vote that mattered in the electoral college. Jefferson ultimately prevailed, but only after 36 grueling ballots in the US House of Representatives. Four years later, the United States adopted the 12th amendment to its constitution, separating the electoral college vote for president and vice president. Which is to say, new political systems often go through growing pains and their fair share of trial-and-error. So it will be with the European Union. 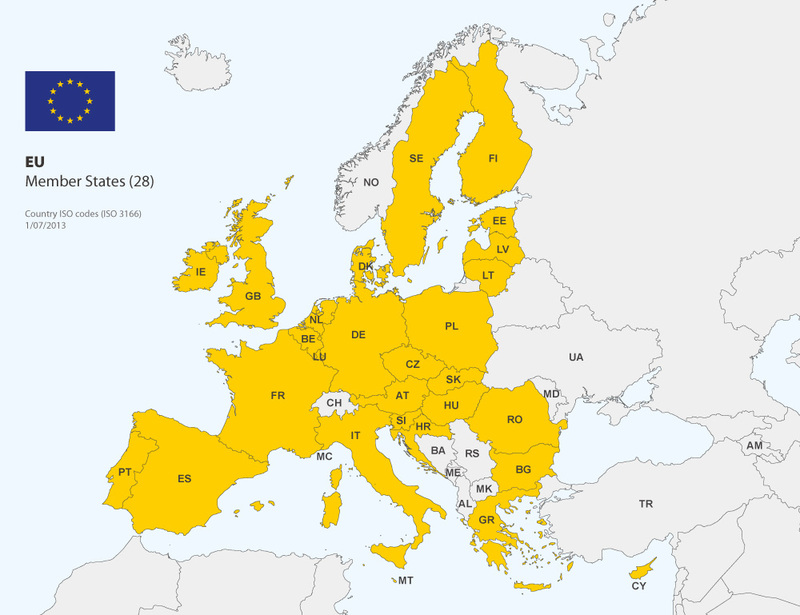 The Treaty of Lisbon, which came into effect in 2009, directs the European Council (the group of 28 European heads of state and/or government) to ‘propose’ a candidate for president of the European Commission (the European Union’s chief executive and regulatory body) to be ‘elected’ by the European Parliament. Each of Europe’s major families of political parties took the new treaty language as a sign to field Commission presidential candidates in advance of this weekend’s European elections. Though five groups ultimately selected candidates, the greatest attention has focused upon those of the two largest blocs in the European Parliament, Juncker’s center-right, Christian democratic European People’s Party (EPP) and Schulz’s center-left, social democratic Party of European Socialists (PES). As the Europe-wide candidates of their respective parliamentary groups, Juncker and Schulz have become the standard-bearers of the most pan-European election campaign in history. They’ve traveled the breadth of the European Union, and they’ve faced off in debate after debate. The challengers have become delightfully known as the Spitzenkandidaten in Germany, a neologism that’s caught on throughout the European Union. It’s hard to know exactly how to place the European parliamentary elections in the constellation of world politics. 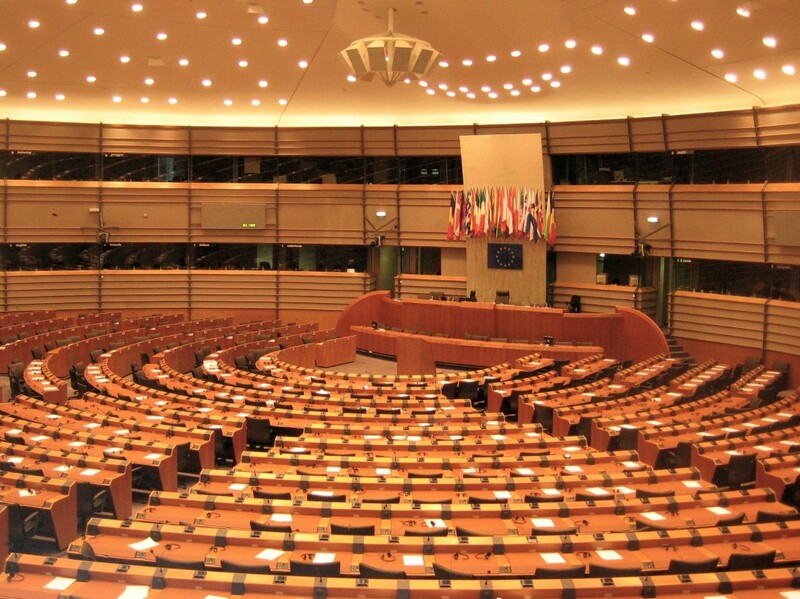 From one perspective, they’re relatively unimportant — a largely apathetic electorate is choosing a body of 751 MEPs in a parliament that has less power within the European Union than most parliamentary bodies have within national governments. The Council of the European Union gives member-states veto power over EU legislation and the European Commission, the regulatory executive of the European Union, has the power to introduce legislation. 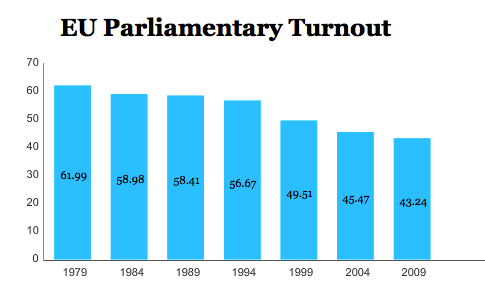 Voters, since the first direct elections in 1979, have turned out in ever lower proportions with each election cycle. To the extent you talk to European voters who actually care about the elections, they mostly view them as an opportunity for a protest vote. From another perspective, they’re incredibly important. They represent the one point of genuine democratic participation within the European Union and, given the tumult of the past five years with respect to the eurozone, the European economy and the power of relatively wealthier states to dictate the monetary policy and, increasingly, the fiscal policy of weaker states, the current elections represent a major conversation about the future of EU policy. That’s especially true in the context of the weighty matters that the next European Parliament will face, including a new data privacy directive and the Transatlantic Trade and Investment Partnership, a potentially game-changing free-trade agreement with the United States. So which is the right interpretation? It can be both — and many things besides — depending on your view. That’s because the European parliamentary elections are really four separate political contests, wrapped up and presented as one set of elections. The relative importance or unimportance that a particular actor places on the ‘European elections’ depends upon which of the four ‘contests’ most resonates. On the last full weekend of May, European voters in 28 member-states with a population of over 500 million will determine all 751 members of the European Parliament. Since the last elections in June 2009, the European Union has been through a lot of ups and downs, though mostly just downs. After the 2008-09 financial crisis, the eurozone went through its own financial crisis, as bond yields spiked in troubled Mediterranean countries like Greece, Spain, Italy and Portugal with outsized public debt, sclerotic government sectors and economies operating near zero-growth. Eastern European countries, facing sharp downturns themselves, and a corresponding drop in revenues, implemented tough budget cuts and tax increases to mollify bond markets. Ireland, which nationalized its banking sector, faced similar austerity measures. European Central Bank president Mario Draghi’s promise in the summer of 2012 to do ‘whatever it takes’ to maintain the eurozone marked the turning point, ending over two years of speculation that Greece and other countries might have to exit the eurozone. Many countries, however, are still mired in high unemployment and sluggish growth prospects. Politically speaking, since the 2009 elections, only two of the leaders in the six largest EU countries are still in power (Polish prime minister Donald Tusk, a centrist, and German chancellor Angela Merkel, a Christian democrat) reflecting a climate that’s been tough on incumbent governments. Spain and the United Kingdom took turns to the political right, and France and Italy took turns to the political left, but none of those governments seems especially popular today — and each of them will face a tough battle in the voting later this month. At the European level, the Treaty of Lisbon, a successor to the ill-fated attempt to legislate a European constitution in the mid-2000s, took effect in December 2009, scrambling the relationships among the seven institutions.